Add some bling to your new year with stylish heat transfers on your favourite apparel; and as a gift to you for the New Year, we will waive the set up fees. Hurry, as this offer is only available for a limited time! 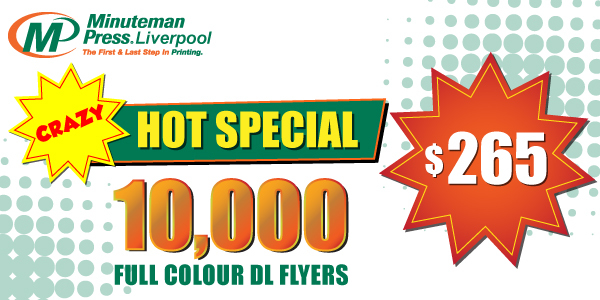 Don't miss this unbeatable Crazy Hot Special on DL flyers printed in full colour on both sides at $265 including GST. Artwork is not included with this offer, which is based on supplied print ready artwork. However, should you need our help, design work can be provided at a great price! 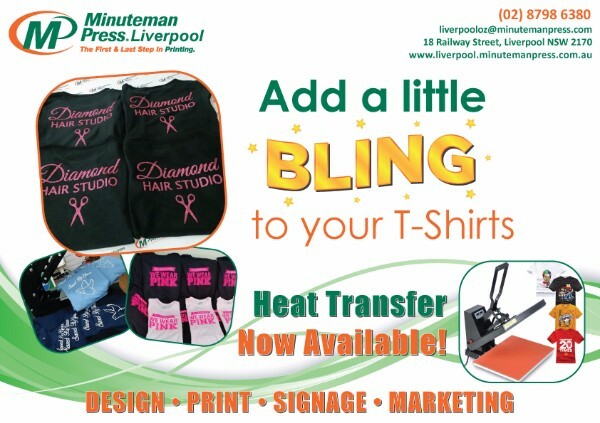 The offer is available for a limited time and is only available in conjunction with an unaddressed mail campaign purchased through Minuteman Press Liverpool; so hurry and place your order or call us for more details. This offer is not available with any other store discount offers or vouchers. 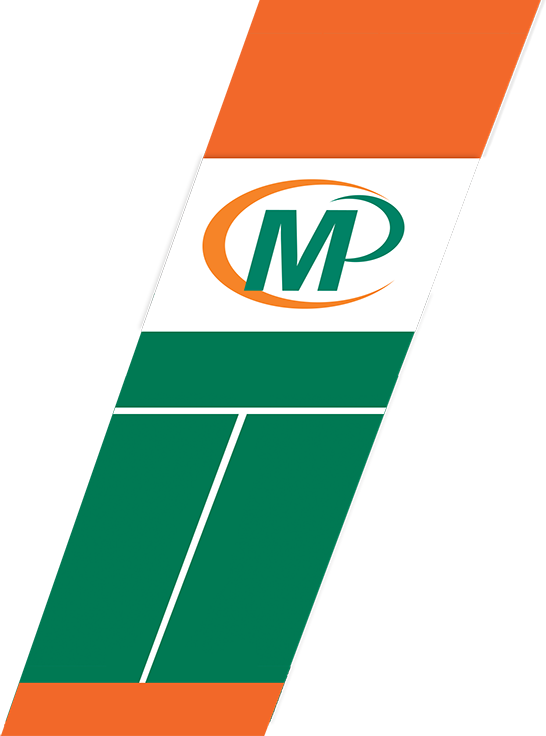 Click on the image to place an order. Folding, laminating, and other finishing services are available. Click on the image to place an order and to request more information. 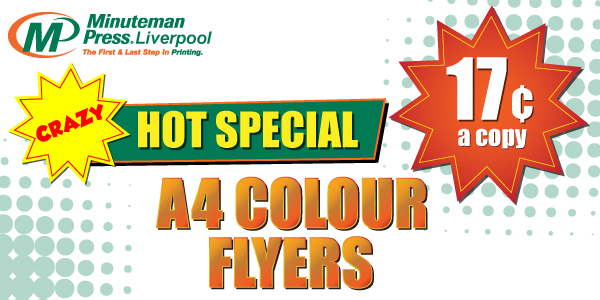 Don't miss this unbeatable Crazy Hot Special on A4 colour flyers printed on one side using 150gsm gloss art paper. This offer is based on supplied print ready artwork and a minimum order of 500 copies. Design charges can be provided at a great price! The offer is available for a limited time; so hurry and place your order or call us for more details. This offer is not available with any other store discount offers or vouchers and is subject to 10% GST. Click on the image to place an order or to request more information.